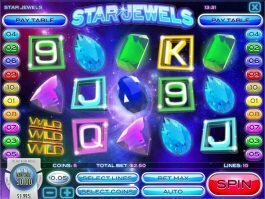 Major Moolah online slot by Rival Gaming gives a clear indication with its title. 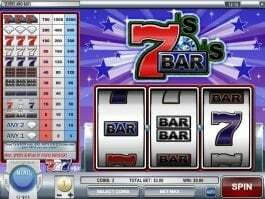 This serious classic slot machine intends to offer huge money through its normal gameplay and the progressive jackpot that is displayed on the top of the screen. 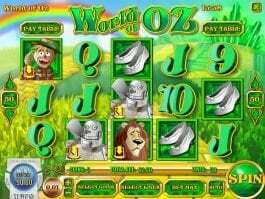 The set-up is simple and you can clearly find out how much you can win with a simple glance into the interface. 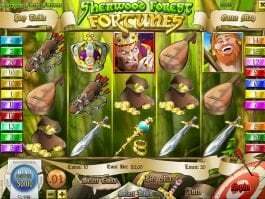 If you like hunting for the big prizes and the jackpot, then you should place your bets with three coins for every spin. 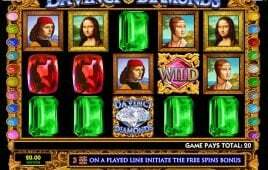 The highest paying icons are the bars, 7s, and the stars. 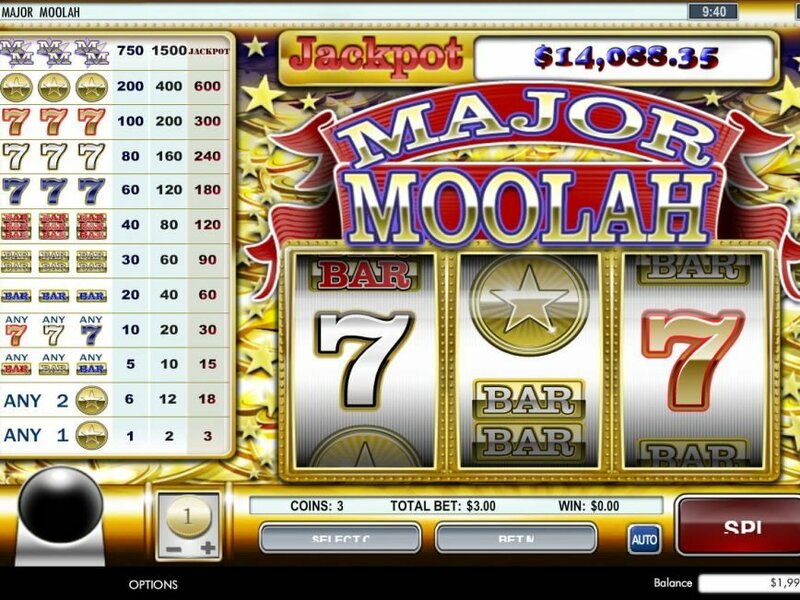 If you are serious about winning some major money, look out for the Major Moolah logo on the active payline, as it can help you win 750 coins, 1,500 coins, and the jackpot if you play with 1 coin, 2 coins or 3 coins respectively. 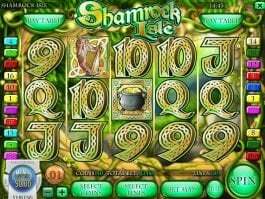 It is advisable to play with three coins always if you want to hit the jackpot.